Let your individuality shine with stunning personalized paper lantern projects that will add a pop of fun in your home. To add a delightful detail to your home, you need not invest heavily in the effort, either financially or in terms of time. Likewise, you need not struggle to make use of any heavy-duty tools or cumbersome materials. Instead, reach for something that you likely have an abundance of: paper. Colorful, versatile, and easy to work with, paper lends itself to a variety of DIY projects, perhaps none more special and eye-catching than a permanent or temporary lantern. 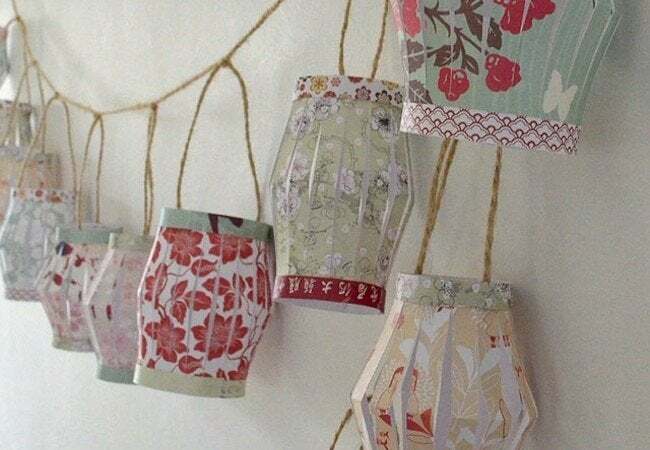 Scroll down to see five of our favorite DIY paper lantern projects. We hope that among these designs—some simple, some more elaborate—you find at least one that inspires your own creativity! Make a set of traditional DIY paper lanterns and hang them via twine to create a decorative garland. Visit AO at Home for a step-by-step tutorial. What you’ll need to complete the project is only a small handful of common items that you may even have on hand already—a ruler, craft knife, stapler, scrapbook paper and glue. A handmade alternative to store-bought candles, this tabletop DIY paper lantern makes for an ideal kid-friendly crafts project. TinkerLab shows you how it’s done. 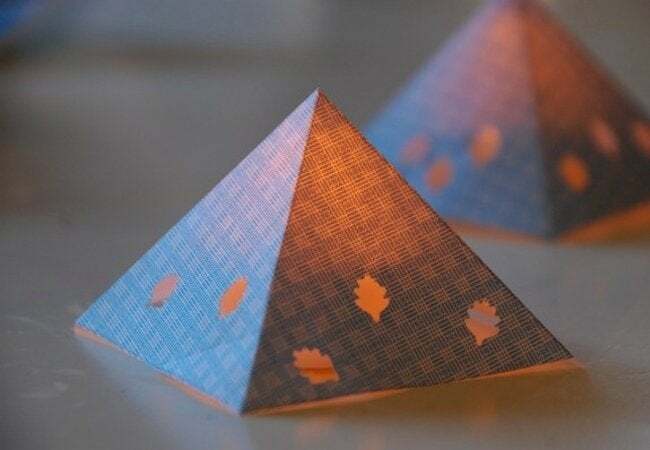 Once you’ve folded, cut, and taped your way to a pyramidal shape, a hole puncher produces the unique shapes through which a battery-powered tea light glows. With such an unusual texture, this remarkable DIY paper lantern seizes attention, no matter whether the integrated light is turned on or off. 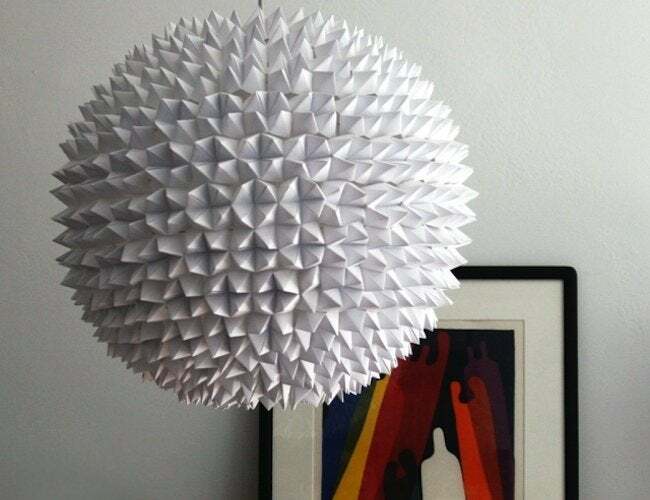 Start with a standard, unadorned spherical lampshade, then go about hot-gluing—in a series of concentric circles—dozens of origami fortune tellers onto the waiting surface of the shade. “Shaggy” is the word that comes to mind, seeing this out-of-the-ordinary DIY paper lantern spotted over at Design*Sponge. 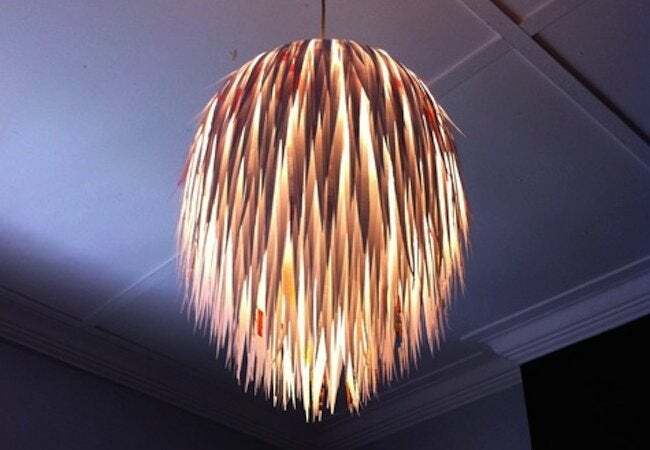 To make yours, simply cut long, narrow, palm leaf-shaped strips from the paper you’ve collected in your scrap pile. Then hot-glue those cuttings to a plain, white, orb-like shade, starting from the bottom up. 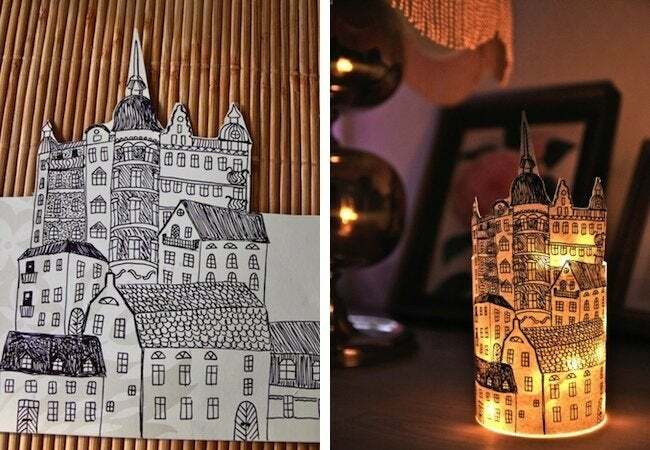 Inspired by Stockholm architecture, Rebecca put together this charmingly simple DIY paper lantern. Having drawn a city scene on wallpaper, she wrapped her artwork around a glass jar, inside of which she’d hung tea lights. Not much of an artist? Create a similar effect by printing out a black-and-white graphic you love.